Azolla is a native water plant with some seriously exciting attributes for anyone looking to develop closed-loop cycles for organic animal feed. It’s high in protein and minerals, fixes nitrogen, is palatable to chickens, pigs, goats, ducks and cows, and can be grown on any closed body of water. 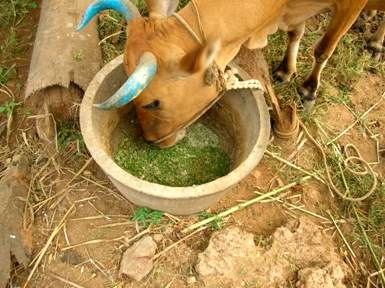 At Milkwood Farm we have many emerging animal production systems, and we’re looking for cost and energy effective ways to produce organic feed for them, using passive and regenerative techniques. Azolla looks like a great tool for us. Azolla in mid-winter at Milkwood Farm. We get hard frosts, which causes the Azolla to die back and retreat to the edges, but doesn’t seem to kill it altogether, which is great. Being placed as we are in terms of climate and rainfall, we’ve no plans to do rice paddies in the near future. 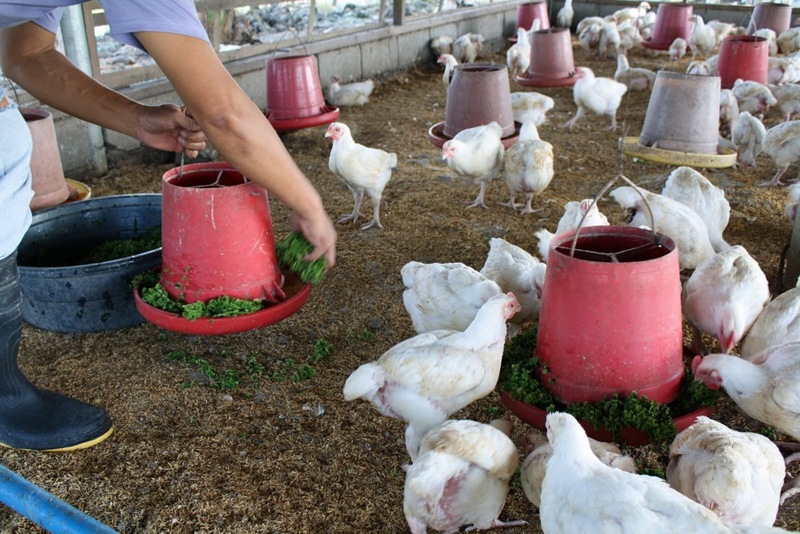 What we do have however is a desire to develop high-protein sources of food for chickens and pigs and hopefully some ducks and milking cows sometime soon. Down in the valley below us is prime lucerne-growing country – Mudgee is a very good place to buy cheap lucerne hay, and we periodically get in truckloads of mulch-quality lucerne which is a bit mouldy, but fabulous for mulching plantings, vegetable beds, adding to compost piles and generally establishing fertility. However we’re not close enough to the valley country to fetch large quantities from down the road without incurring steep cartage costs, and we’ve not got good enough soil on Milkwood Farm to grow it ourselves in quantity. So we’ve been looking for other high protein and nitrogen sources that are multipurpose, and that can conceivably be grown successfully on-site. 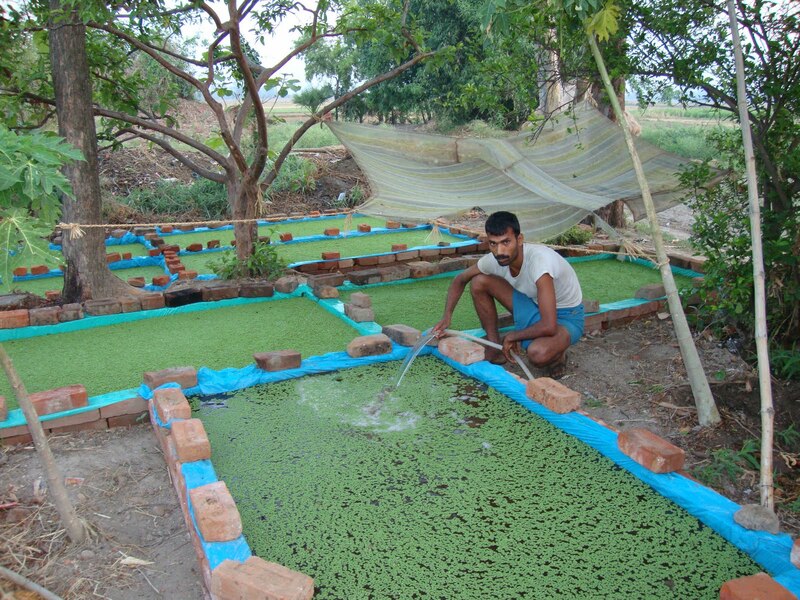 The great thing about Azolla is that not only is in a high value feed for animals and a great option for adding to compost and to the market garden plantings, but that it grows itself without taking too much fertility from the system. It’s a little bit like free energy, and highly regenerative as a system component. 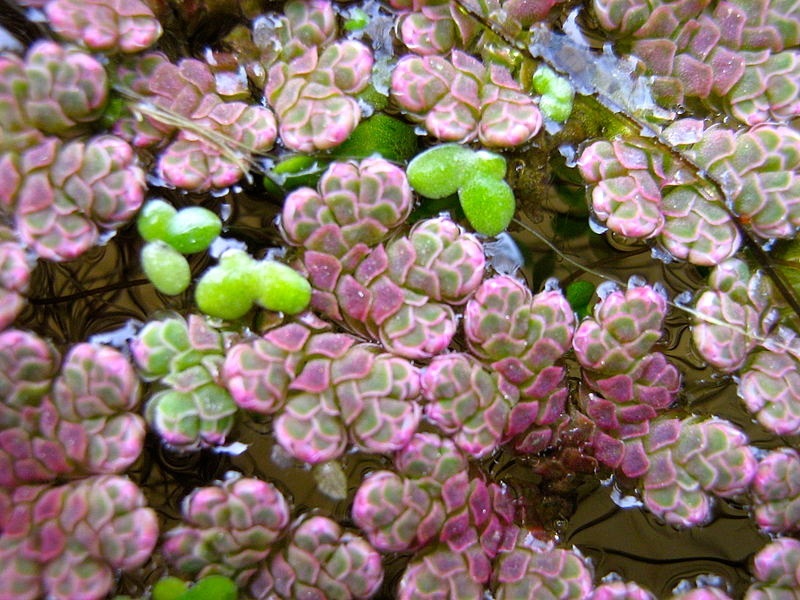 The growing of Azolla is very easy: put some in a dam or pond, and watch it grow. It fixes nitrogen from the air and minerals from the water. It does deplete the nutrient content of the dam, so if you were trying to grow other things in the dam that you wanted to flourish (lotus, water chestnuts etc) I’m assuming you’d want them somewhere else, unless that dam has a seriously high nutrient load. Within a permaculture system, if you have a series of dams and swales you would probably want to grow Azolla in the lower parts of that system, to make the most of nutrient concentration that is going to be greater at the bottom of such a system. We’re trying Azolla out in the small pond beneath the house dam, which it happily colonized entirely over a couple of months, until the hard frosts of winter arrived, at which point it died off and shrank back to the sides. This was actually before we realized how awesome Azolla was, otherwise we’d have harvested it before the cold snap. – Hosts a symbiotic blue green algae Anabaena azolle, which is responsible for the fixation and assimilation of atmospheric nitrogen. 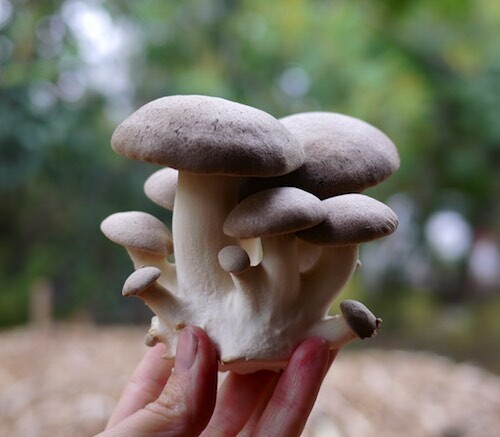 – Rich in essential amino acids, vitamins (vitamin A, vitamin B12 and Beta- Carotene), growth promoter intermediaries and minerals like calcium, phosphorous, potassium, ferrous, copper, magnesium etc. – On a dry weight basis, it contains 25 – 35 percent protein, 10 – 15 percent minerals and 7 – 10 percent of amino acids, bio-active substances and bio-polymers. – After initial collection/purchase, you get a lifetime supply! – Being as it is a water plant, Azolla can clog up water lines and pumps coming from farm dams if that dam is fully colonized with Azolla. – Given its growth rate, do check if Azolla is considered invasive where you are, if adding it to a body of water it could escape from to others. If so, devise a plan for cultivation (bathtubs?) where it can’t get away. As you might guess from this glowing report card, there are much interest and active development in Azolla as a low-cost, organic and nutrient rich animal feed around the globe from various institutions, in addition to the cultures that have been using it for centuries. At Milkwood Farm, we’re pretty excited to have come across it as an organic, regenerative and very low-energy input ‘super food’ for both animals and soil. I’ll keep you posted on how we go with its production in the spring. Yay for another tool to add to the permaculture toolkit of low-energy small farm abundance. You can buy Azolla online, or ask around your friends with water features, someone likely has it. Remember it’s also a native, so you may just happen across it if you’re lucky. 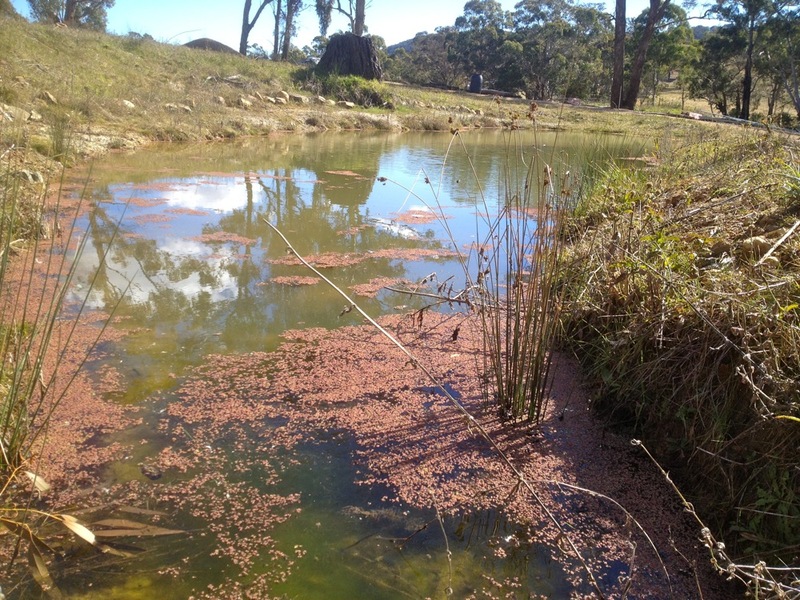 Big thanks to Stephen Couling for bringing some Azolla home last Autumn and adding to the pond (at the time just to see if this native water plant would like it at Milkwood or not). 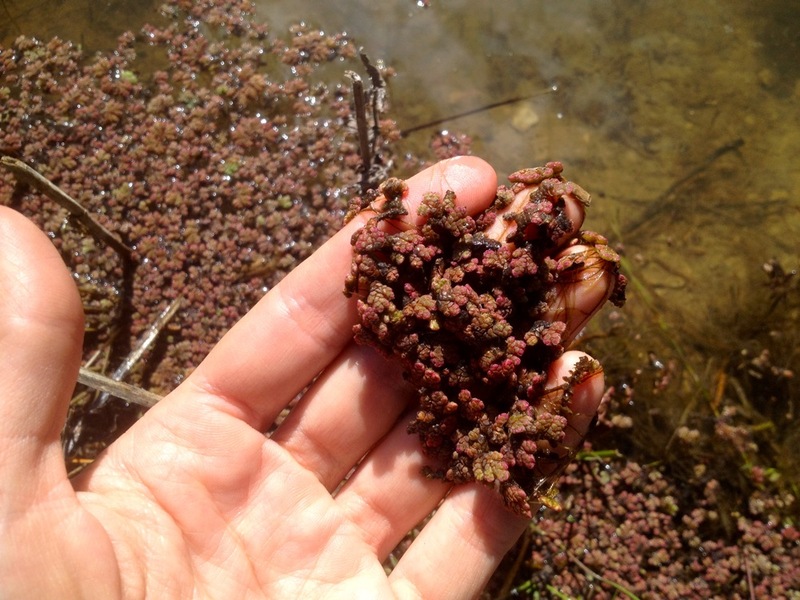 Are you ready to take the plunge and get seriously skilled up in . .
What the heck is a mini azolla event? Thanks for the link! My friend Sus made a big pool scoop out of shade cloth and a long bamboo pole which worked a treat for harvesting. One more trick: Put it on a tarp to dry out in the sun, push it through a coarse sieve and you’ve got a material very similar to peat moss for seed raising. I harvest azolla from a neighbour’s dam for my chooks. http://witcheskitchen.com.au/azolla-for-the-chooks/. They don’t eat the azolla itself much, but they love scratching for all the little insects and larvae in it, and in the process they mix with with mulch and manure to create gorgeous sheet compost. Azolla is very high nitrogen and works brilliantly as a compost activator. One of those pics though looks like duckweed though (Lemna minor), which grows in a local dam too, and which my chooks absolutely love. It has an even higher protein level. They both like warm water though – both do well in northern NSW but I would be interested to hear how well they do further south. set up another bathtub near your worm farm and when you are not using the worm wee drip for the garden could the worm wee divert to the azolla bathtub and feed it? excess azolla (if there was any) could feed the worms and the garden beds nearby? Also very eager to hear how this experiment goes! 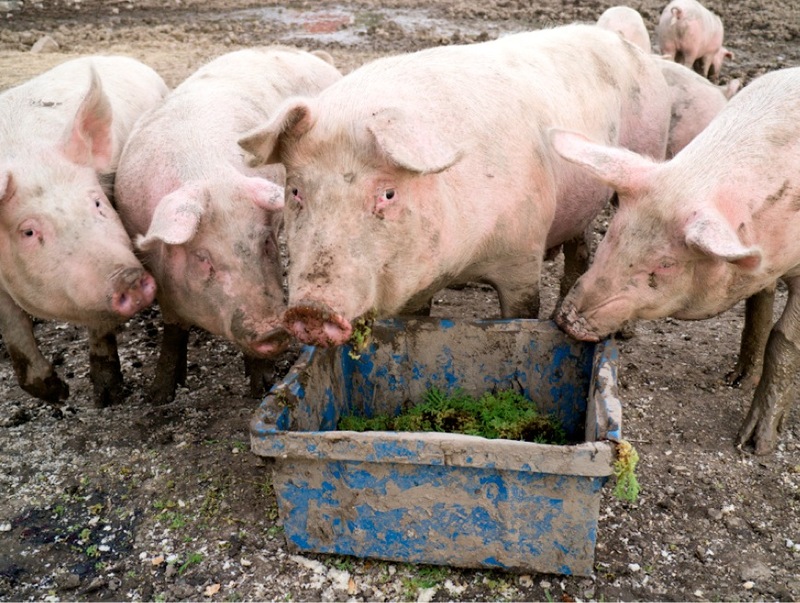 What other crops have you been experimenting with that could prove to be useful fodder for animals such as pigs? Azolla does not die back due to frost. We get consecutive -6 in winter here in the mountains of south east Australia and it does not affect the thick cover of Azolla on our lake. 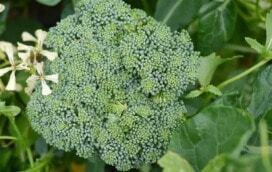 I suggest it dies back due to water movement or nutrient deficiencies. Yep i reckon you’re right- excessive sunlight also causes it to die back but main cause is lack of nutrient. As it multiplies so quickly it can use up its food supply in a small area really quickly. worm wiz is a great idea. in my system( 3x4m x30cm deep plastic lined pool) I chuck in a bucket of semi composted cow manure each week. gotta keep all the links in the chain flowing. I’ve got azolla growing on my small dam too. I also have a few old animal water troughs (44 gal drums cut in half lengthwise) that it’s growing in. My ducks love it, but the chickens aren’t that crazy for it (although they seem to peck it if there’s nothing else around). 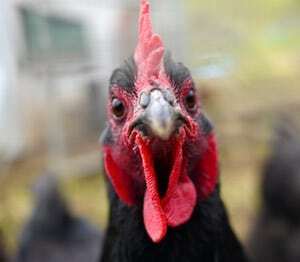 I’ve not used it on the compost – it seems wasteful to put good feed in the compost when I’m buying in feed for my poultry. Better to run the azolla through the poultry first and then put their manure into the compost heap! I just obtained a broken pool scoop this week, so hopefully I’ll be able to harvest more now! 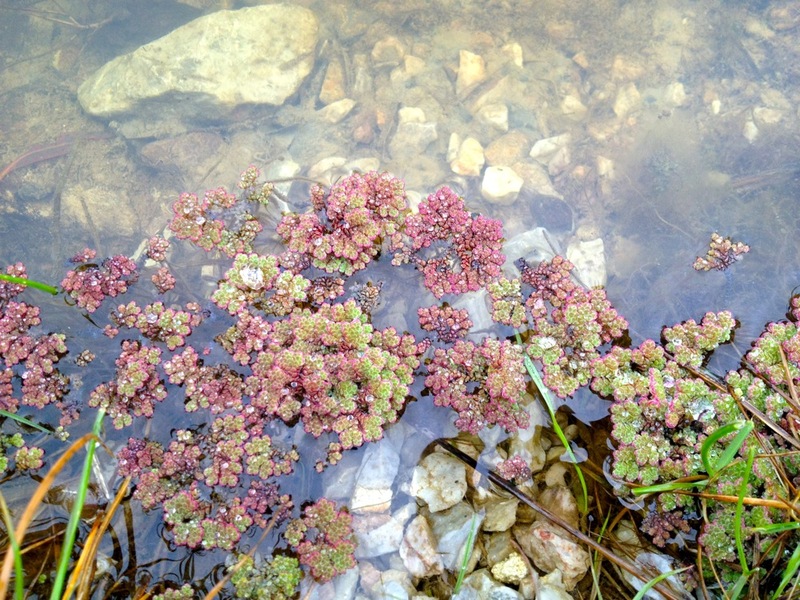 Which kind of azolla is it that you are using? Is any better than the others or can you use all of them equally well? We have had lots of azolla growing on our dam right through winter this year (down to minus 7 or so) so it can take quite a bit of cold. We tried feeding it to the chooks but they were not impressed. Maybe it is not be as palatable when it is all crimson from the cold? The very first photo contains Duckweed, probably Lemna spp. This is a better nutrient harvester from slow or still water than azolla fern. Duckweeds are also more palatable for animals and can also be used in aquaponics as a fish food. A word of warning when using these aquatic plants. If the water is contaminated with serious pollutants, such as in a down stream area from a factory or residual herbicide applied area, then these pollutants can be taken in by the aquatic plants and when harvested be concentrated. In some instances this is exactly how bodies of water have been “cleaned up”, by harvesting the aquatic plants then disposing of them into “safe” landfill sites. Any good for grey water treatment? 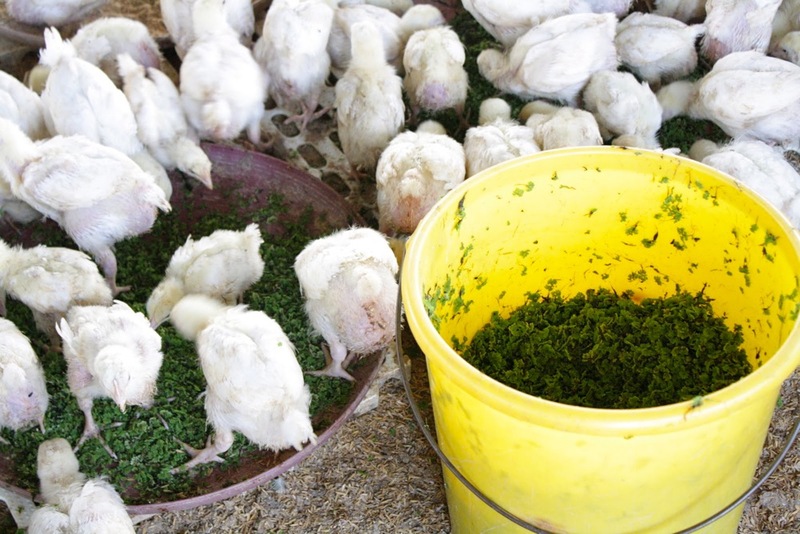 In my experience chickens arent that interested in azolla itself but if you give it to them straight after scooping it out of the dam then what they do love is all the insects through it. Folks, this is great networking….everyone getting involved with questions and feedback. I have been working with Azolla for the past 2 years and have produced 3 Hubs about the experiment, in case you are interested to look them up. It appears that several of us, around the globe, have been doing similar experiments in parallel, so it’s possible to cross-reference and see if we can confirm findings. Someone has asked about using Azolla for treatment of grey water, and that has been my primary focus, i.e., to take out the various chemical components of grey water which otherwise present the environment with problems, like nitrogen, phosphates, salts, etc. These sites are also accessible via: http://www.theazollafoundation.org of with I have recently become an Associate. There is great potential for world-wide collaboration in the research of Azolla and its adoption for various purposes and alternative technologies. Kirsten extolls the benefits of azolla. I recently bought some azolla online and tried it out in a 55 gallon drum half full of water with some soil and a small amount of manure. At first it was doing good spreading across the water surface, nice and green. Then one day last week it totally turned brown and died. I hadn’t checked it for two or three days, but during that time it just tanked. The remaining biomass seems to be dissolving and disappearing. Any thought what could have caused this?? I think what might have happened to the azolla. Azolla doesn’t need nitrogen it symbioses with blue green algae to produce nitrogen. So the water became toxic? 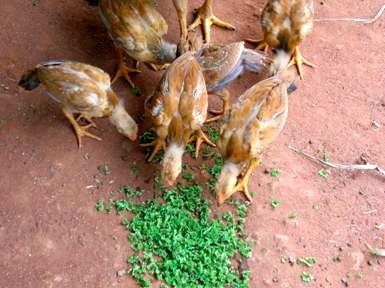 Following is an informative article on duckweed which is more digestible than azolla-[azolla is probably more suited to ruminants]? My friend and I tried a modified version of this as we couldn’t get the bottom feeder in Nepal. Skillicorn also has an article on the treatment of hospital waste by duckweed. My azolla is turning brown and i think it’s dying? what could the cause of it?